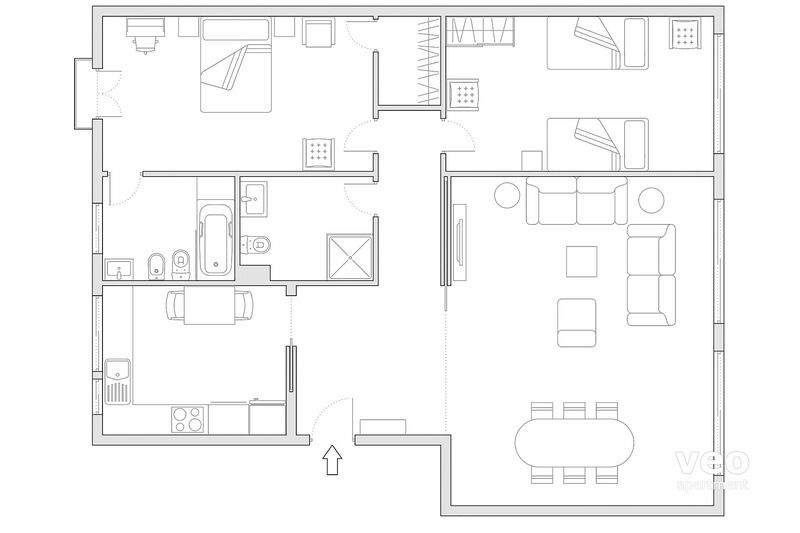 Superior 2-bedroom apartment for 5 guests. 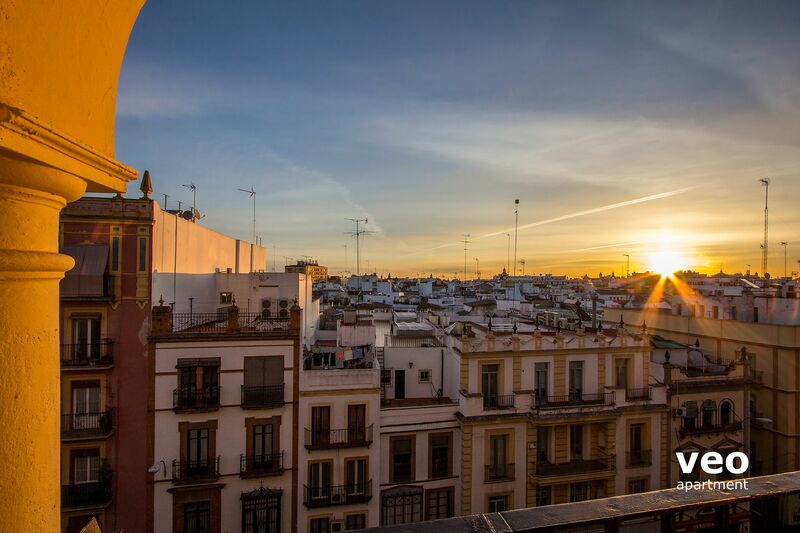 It is centrally located in El Arenal - one of the most traditional neighbourhoods of Seville, by the bullring and just 10 minutes walking from the Cathedral. 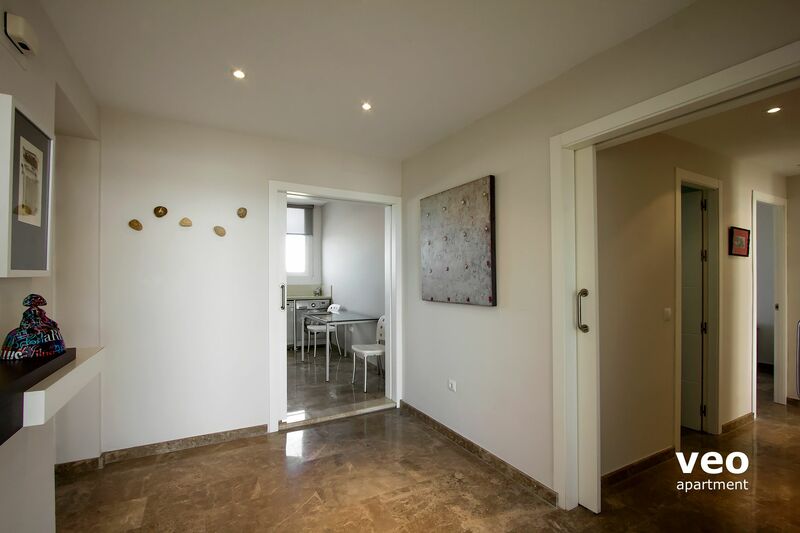 The apartment is of exceptional quality and finish. Double glazed windows infuse the apartment with light. With marble flooring, original art works and contemporary design furniture. Central air-conditioning with cooling and heating. 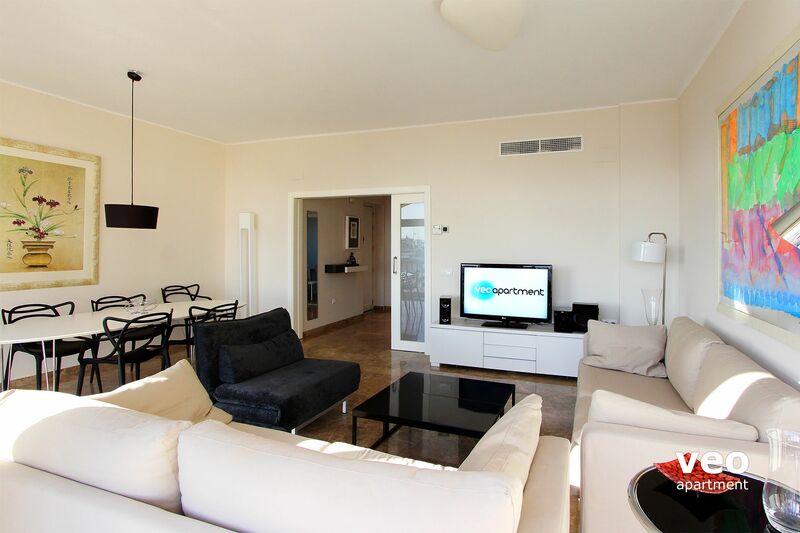 The open-spaced living area has 2 sofas, TV, DVD player and hi-fi. Large dining table and chairs. 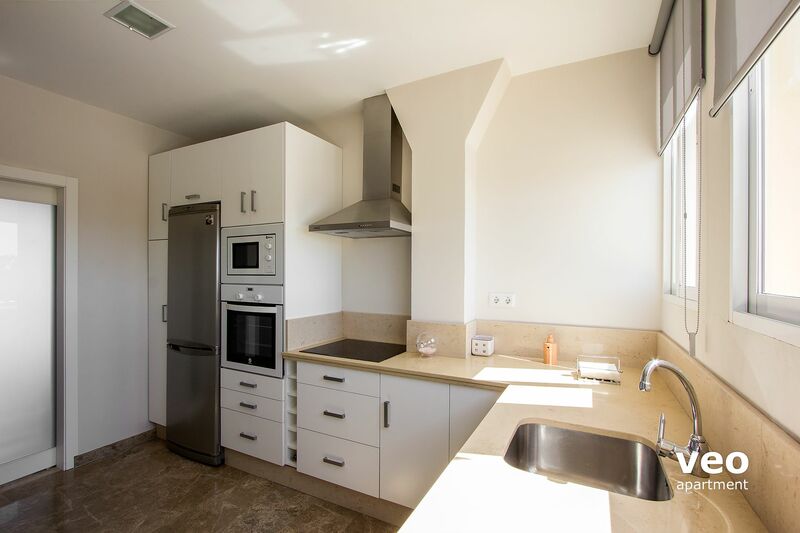 The separated kitchen is equipped with all modern appliances for self-catering, including oven, washing-machine and dishwasher. A corridor leads to the two bedrooms. 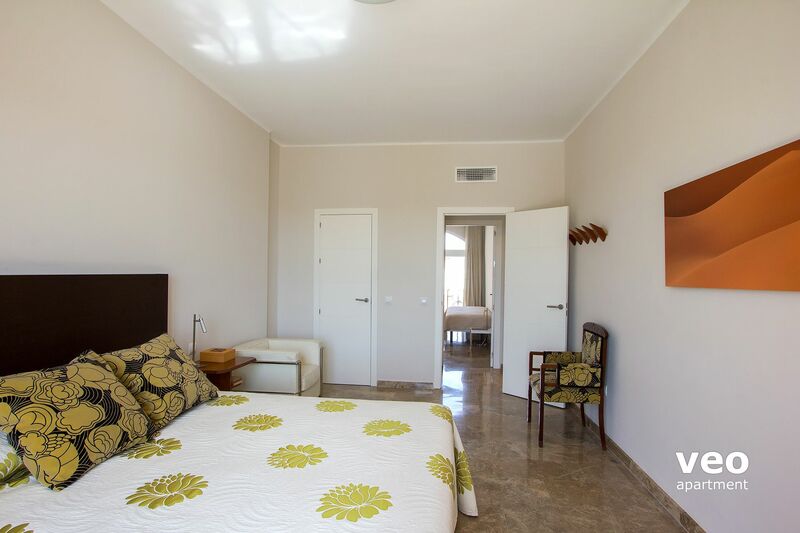 The master bedroom has a double bed (150x200cm), a desk and a built-in wardrobe. En-suite bathroom complete with bathtub. The second bedroom has twin beds (90x200cm) and a wardrobe. There is a second bathroom available complete with shower. 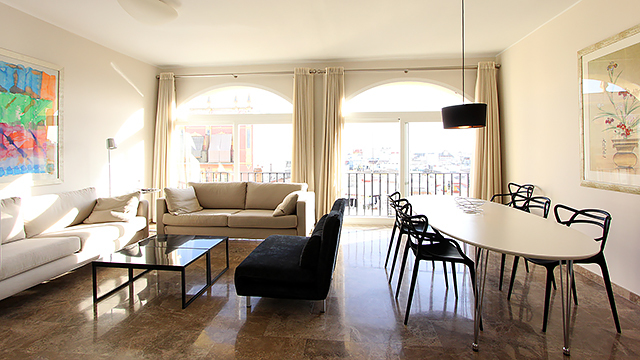 The apartment "Arenal" provides unique skyline views of the city. The living room faces east, from where you can watch the sunrise. The master bedroom faces west, from where you can enjoy the sunset. Pure magic of light. Daily rate: 15 EUR. Reduced price at car park "El Arenal". Located at 50 m from the apartment. Reservation by email required. 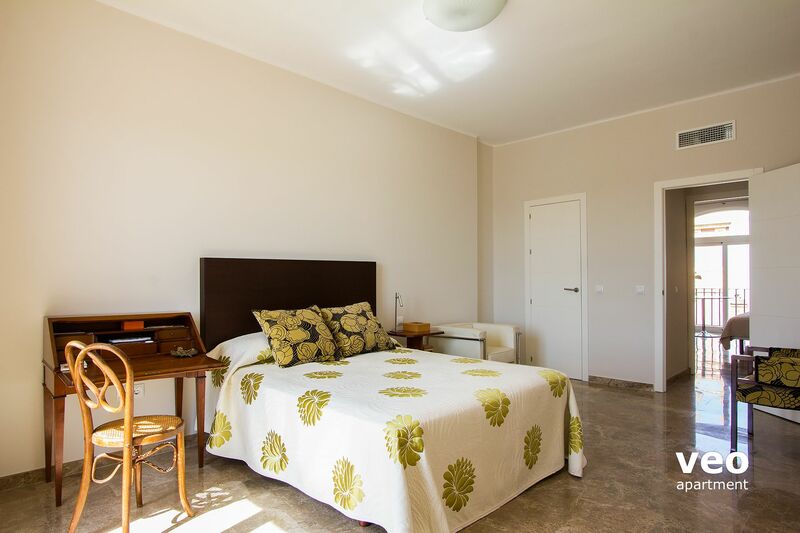 "A wonderful five weeks in Arenal Apartment"
We, a retired couple, stayed at this apartment for a five-week visit to Seville. We were extremely satisfied with the apartment. It is as it looks in the photos on the website. Its large, with a large living dining room, big master bedroom with full ensuite bathroom, a second bedroom with twin beds that was great for friends who came for a couple of nights. 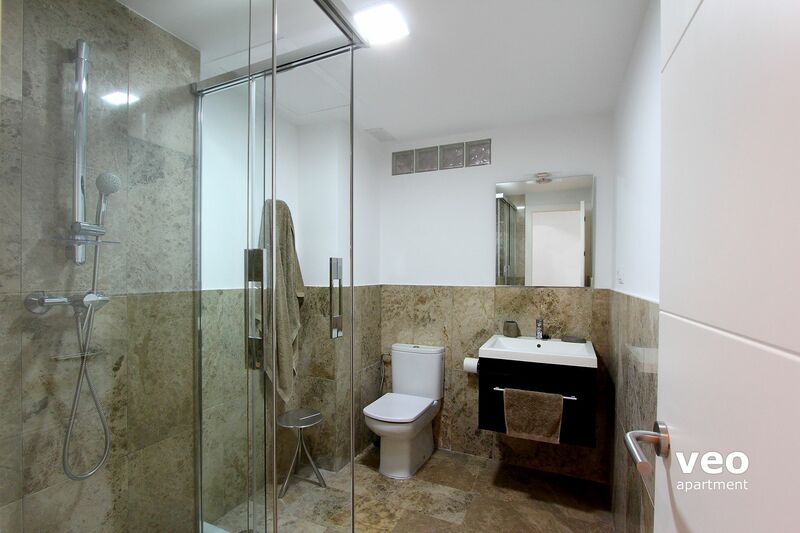 There is a second bathroom with shower across the hall from the second bedroom. The place would easily accommodate five or six people if the couch and fold down in the living room were used. 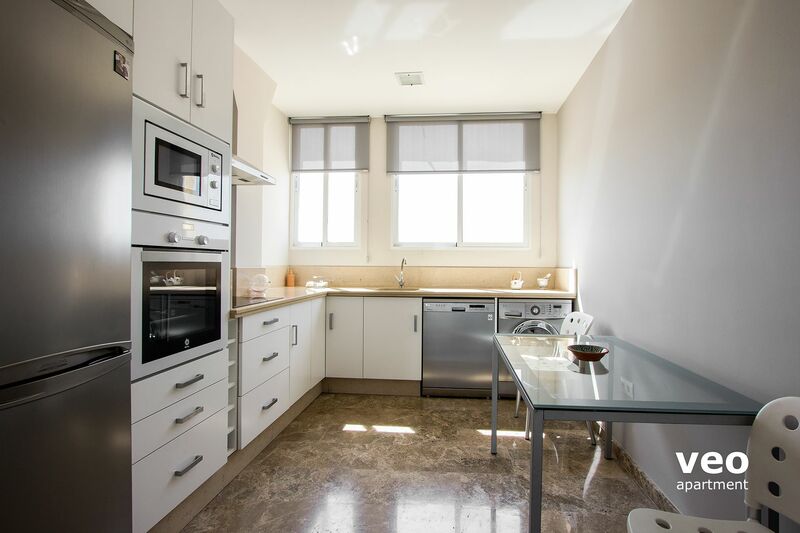 The kitchen is roomy and well-equipped with fridge, stovetop, conventional/convection oven and microwave. There is also a table for two to eat breakfast in the kitchen if desired instead of the table in the dining area that easily could seat 8. All floors are easy to maintain marble or slate. The master bedroom is at the back away from the street, so it is quiet. The second bedroom faces the street, which could be slightly busier, but our guests had no complaints about being kept awake. There are windows across the entire front of the loving room that allow lots of light and provide a view of the Cathedral and Giralda, which are particularly lovely when illuminated at night. 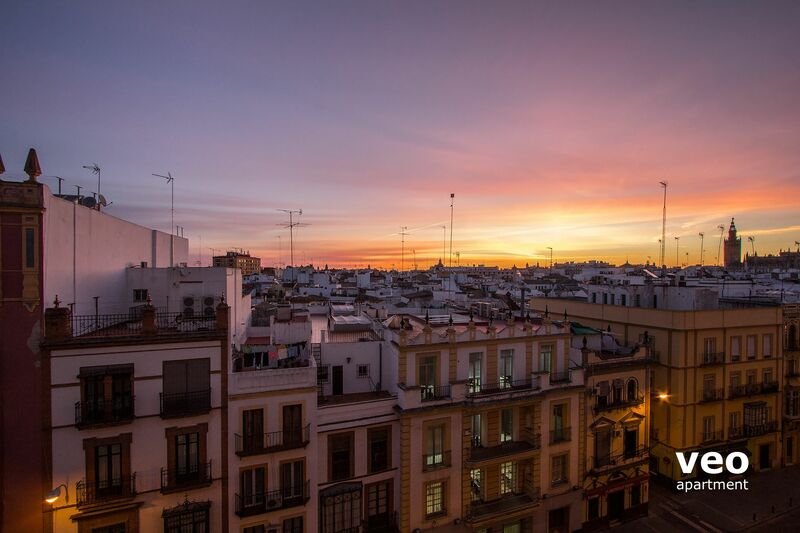 The windows at the back of the apartment provide wonderful views of sunsets over Triana across the river. We stayed in wintertime and the apartment was warm and cosy. The beds were comfortable. The furniture throughout was simple, tasteful, functional and comfortable enough. The television only had local Spanish channels, but we were able to connect our computer to it to stream our own content or play recorded material. 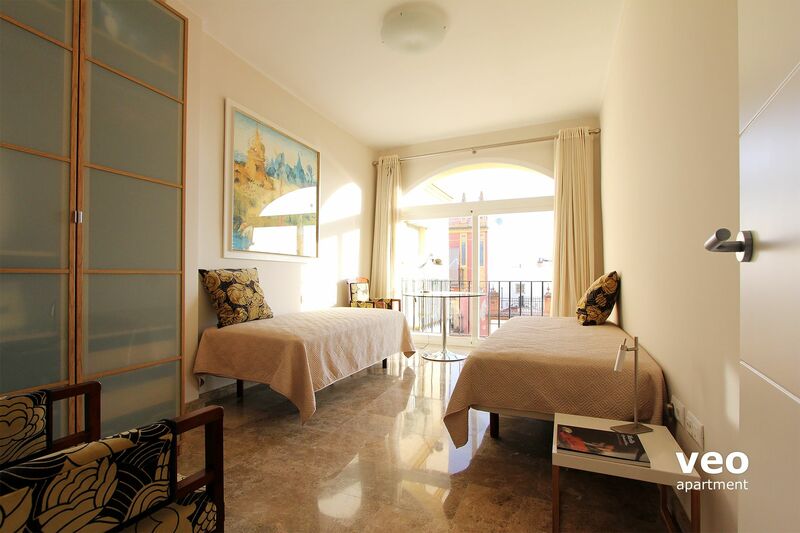 The apartment is situated on the 4th floor above the Arenal Market. There is a small 4-person lift. There is a friendly green grocer with good produce right outside the apartment entrance. There is a good-sized Mas Supermarket a few blocks away, an Express Spar two blocks away that is open on Sundays, and it is less than a 10-minute walk to Corte Ingles department store, where a very large supermarket takes up the entire basement level. 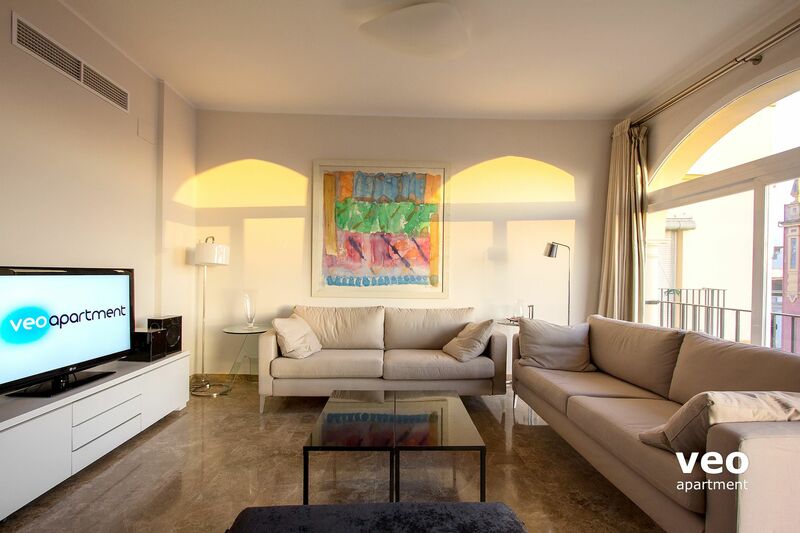 It is in walking distance to virtually everything you want to see: 6-7 minutes to the Cathedral and Alcazar, 5 minutes across the bridge to Triana, perhaps 20-25 minutes on foot to Maria Luisa Park or Plaza de España. There are lots of good restaurants, especially tapas places, all around. We highly recommend this apartment and hope to return to it in the future. Great location, not too close to the Cathedral but wonderful view. Very convenient for Triana and central Sevilla. Local shops for food and drink and other essentials. Bars, transport all in easy reach. 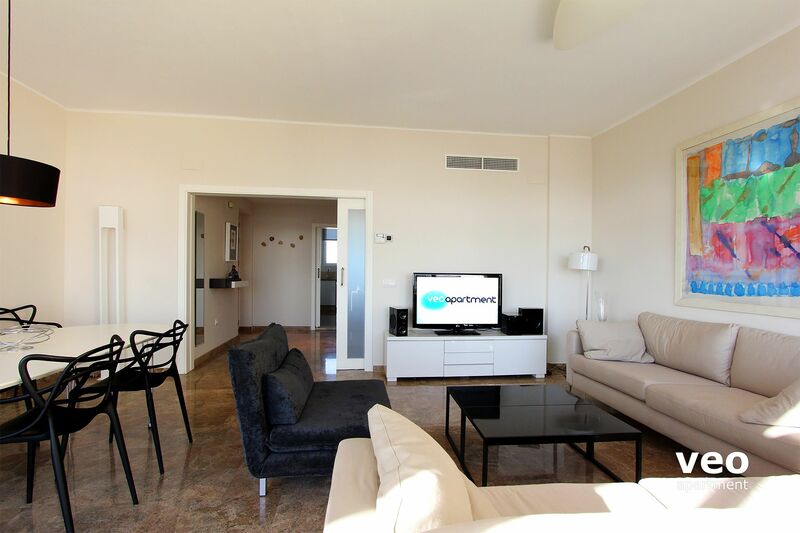 "Alta calidad en sitio inmejorable"
"We are very satisfied about "our home" and Veoapartment in Sevilla!" 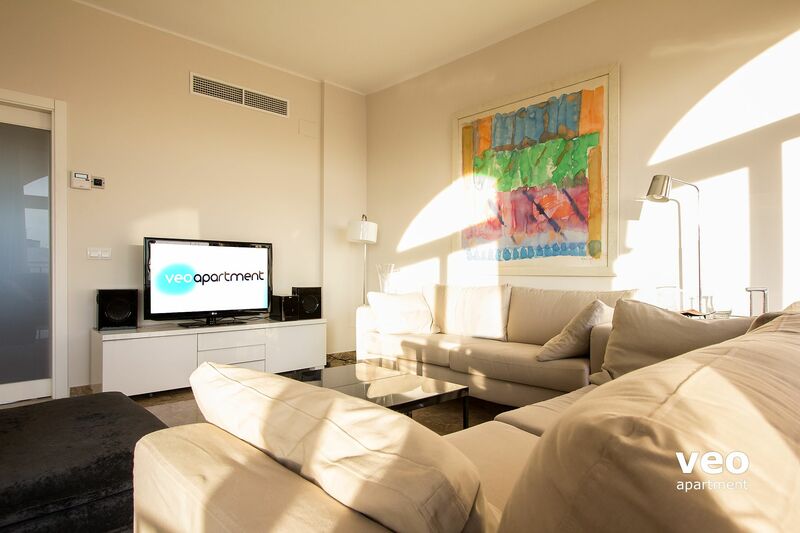 We experienced the Veoapartment organization as very customizable and communicative whenever we had a question. We will miss the views from this apartment! 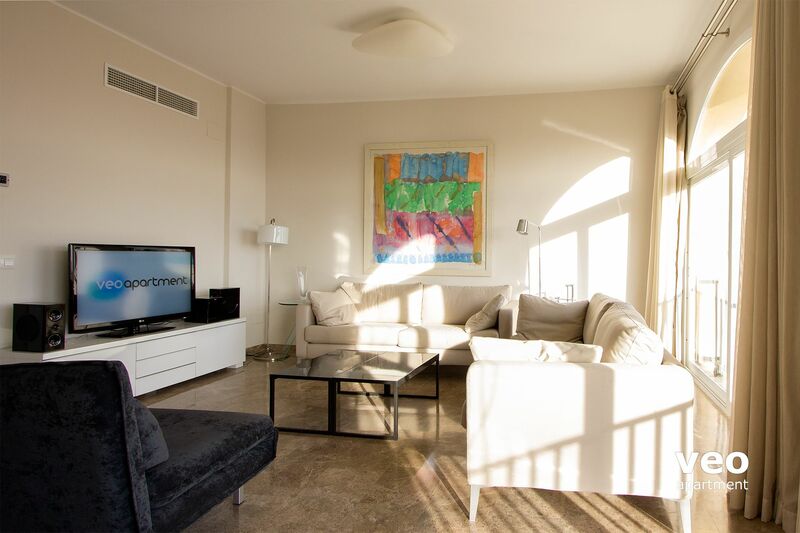 We really enjoyed our stay in this big, bright, nicely decorated , comfortable and clean apartment. I liked the kitchen as well, it has everything one needs to cook a meal, decent pots and pans, knives, many condiments and spices. The location is perfect,too. My only wish is that maybe an owner would consider putting some kind of a dresser in the master bedroom, as it is short on storage and the walk in closet doubles up as a utility closet. There was also an issue with the water tank size not being adequate but we understand that was going to be addressed soon. Hermoso departamento, amplio, muy cómodo, impecable, excelente ubicación. Lola fue encantadora con nosotros. Lo recomiendo! 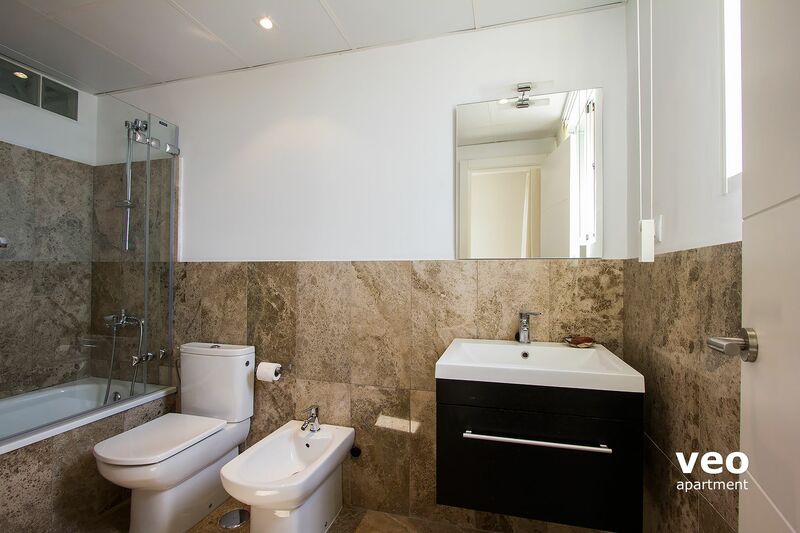 Very well situated within walking distance of centre. Quiet street. 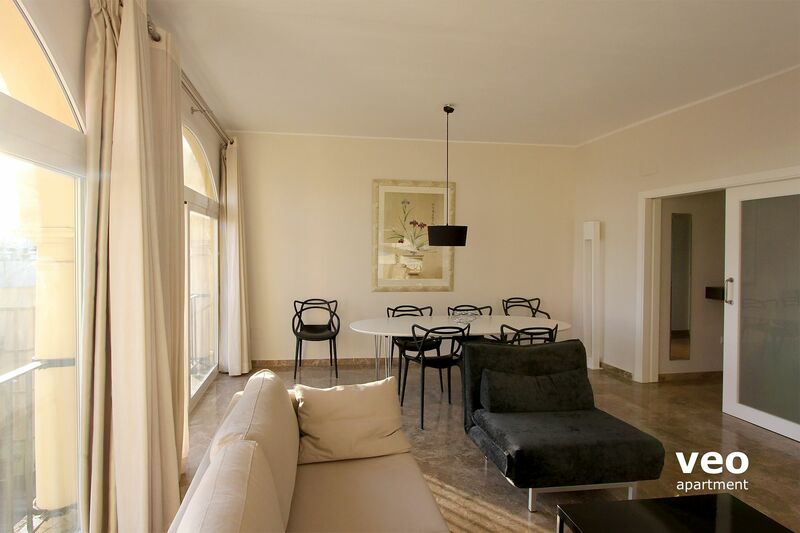 Bright spotlessly clean apartment decorated with taste and with all amenities one could wish for. Ideal for two couples or family as both bedrooms are spacious and there are two bathrooms. As requested we were picked up by private transport and taken back to the airport by a private company at a reasonable cost. Lola was waiting for us in the apartment and was very helpful. 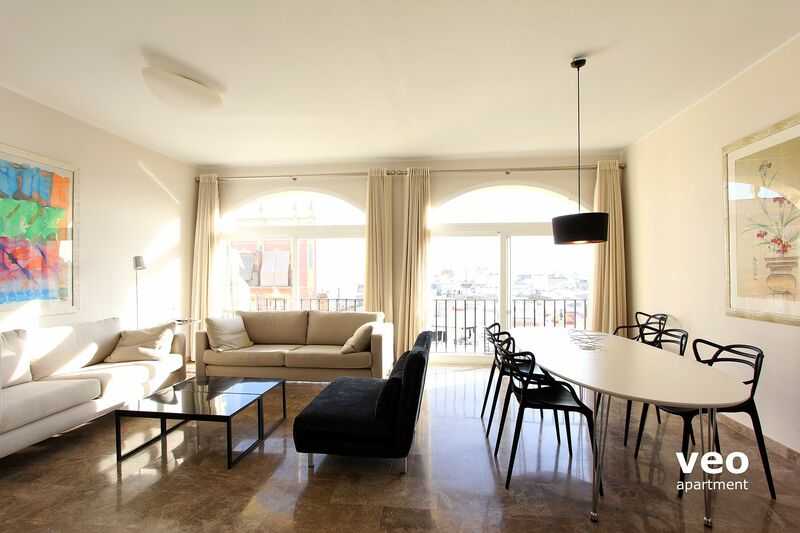 Una instancia muy confortable en piso hermoso con unas vistas a la ciudad impresionante, céntrico y tranquilo con todo a mano, el piso tiene todo lo que se pueda pedir las fotos del piso en la web es tal como es con una decoración esquisita. La persona que nos recibió Lola fue muy atenta y agradable, nos dio toda información tanto del piso como recormendaciones para visitar la ciudad. Lo recomendaría sin ninguna duda y repetiría. 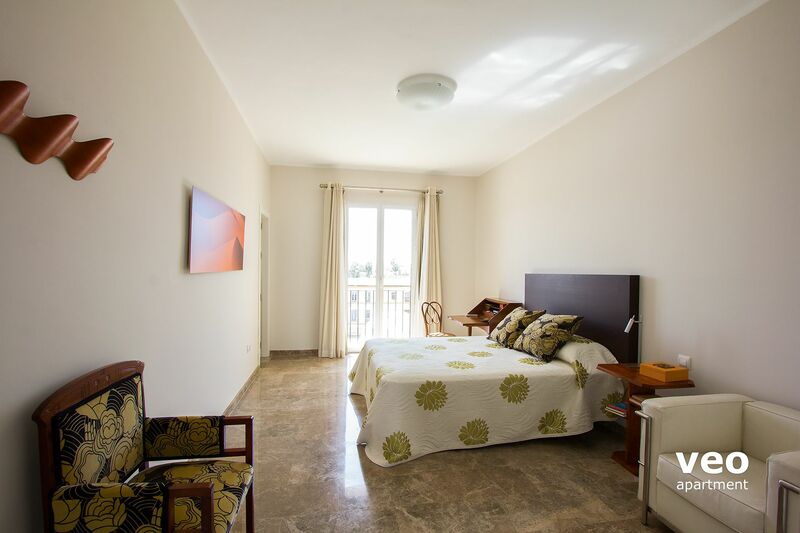 "Arenal Apartment Fantastic Comfortable and Lola Rodiguez a wonderful hostess/manager"
"Great apartment,comfortable and well positioned." Apartment was clean, well presented and comfortable. We were met by Lola and she took us through the apartment and advised on local services and attractions. We were able to walk to Metro and the beautiful Retiro Park as well as restaurants and tapas bars. "Bel appartement ,grand et clair." Great location, walking distance to all attractions, restaurants and shopping. "Convenient for location, sunny "
Our experience was excellent. We got what was promised on the website. Maybe even more because of the wonderful view on the cathedral. A plus point goes to the location because of the parking directly under the house. 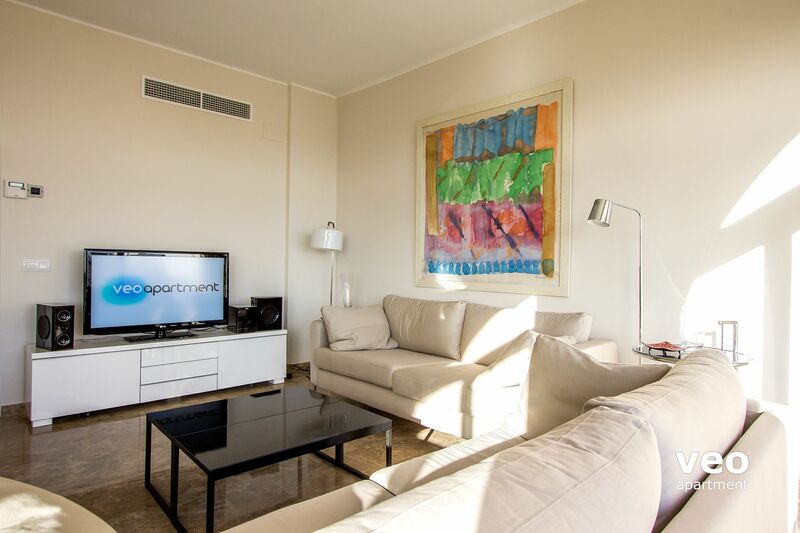 "Fantastic service and apartment in a beautiful city"
We loved the apartment. It is very comfortable. Great views!!! Well appointed. 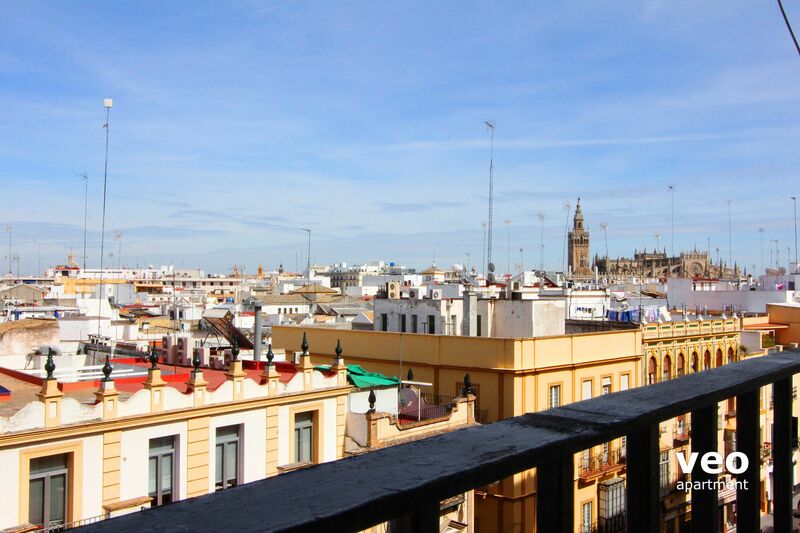 We went to Sevilla for a three week course at the University (4 girls) and had a great time in this apartment. The location is wonderful, very well decorated, new things in the kitchen.... It is above Arenal Market what is very nice because we could get there fruits and have breakfast. "Muy bueno,las instalaciones de primer nivel en un edificio con historia"
Muy bueno,pero lo que considero destacar fue la atencion de Inmaculada Prat.....Sencillamente espectacular su predisposicion para guiarnos y recomendarnos como descubrir Sevilla !!!!!!! Inmaculada es realmente INMACULADA !!!!!!!!! Nous sommes ravis d'avoir choisi cet appartement, très agréable à vivre surtout lorsque l'on reste comme nous, une quinzaine de jours. À 5 mn à pied du centre historique comme de Triana, sa situation est idéale, d'autant que dans le quartier il y a de très bons restaurants. On a aimé Séville et l'appartement Arenal a participé à cet enchantement. Nous avons également beaucoup apprécié la fidélité de la description de l'appartement sur le site et la réalité. Aucune déception à l'arrivée. muy limpio y cómodo y con unas vistas increíbles. muy cerca de la mayoría de los monumentos y visitas turísticas. fácil acceso entrada/salida ciudad. tiendas y supermercados en la zona . único aspecto negativo es q en uno de los dormitorios se oye bastante ruido de la calle y dificulta el descanso por la noche. Respuesta del propietario: Muchas gracias por tu comentario. Lamento mucho el problema que comentas del ruido de la calle, es lo que tiene vivir la Semana Santa de Sevilla en primera linea. De todas formas lo tendremos en cuenta. Un saludo.